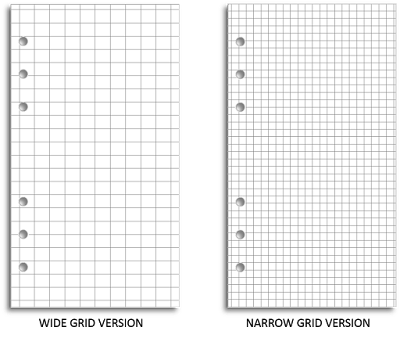 I made a grid paper template for the Filofax Personal some time ago. You can find it here. Recently I was asked to make a new version, with a finer gird pattern. So now there is a choice between wide grid and narrow grid versions. Download the Wide Grid version pages as a Word file or a PDF file. Download the Narrow Grid version pages as a Word file or a PDF file.